I missed out writing on 1000 voices speak for compassion last month, i.e. on February 20th. Building from Bullying is a topic I could not miss to write about. This time around I made it a point to share my own experience with bullying, because what I am today may have started with bullying in my childhood. Being born with an equinox foot (club foot) I had undergone my own share of bullying in school, which included other students limping like me or calling me langdi, kunti (which meant lame)etc. Somehow, instead of making me weak, this only made me strong and instilled an instinct to prove to others my superiority over them. I would do anything to win at something, so to prove to those who made fun of me that I was better than them. As a mature person I question the better person part seriously today. With good memory, I excelled in my studies and topped my class often. With the help of my PT teacher I participated in sports and did well in the field as well. I practiced water color painting, singing and craft so that I could make a mark in every field. Fortunately, I was lucky enough to win most of the competitions I participated in. If you think that made everyone sit up and appreciate me, you are wrong. My teachers, my parents and some people appreciated me, whereas others got jealous or made remarks like, only if she was not handicapped. I also realize since winning meant everything to me, I never enjoyed sports or competitions, but performed it like a task. This continued for a long time in my life, until a wise person opened my eyes. That is another story for another day. Back to bullying. There was a senior boy in our school, who was a champion koko player. He and his team had won many games in our school. During a friendly match, I competed as though my life depended on it and won the match against his team. He could not forgive me for that and got back at me by making fun of my club foot whenever we ran across each other. It went on for six months and any hope I had of he getting tired of it and stopping was lost. 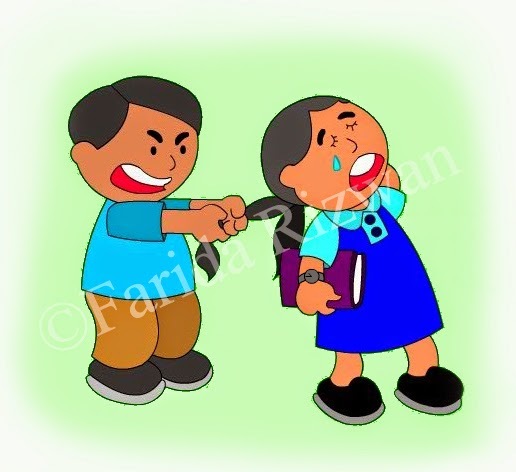 I complained to teachers, they punished him, but he kept teasing me. The drama thus continued until the teachers were tired of hearing the complaints and I was tired of complaining to them as well. One day, I lost my cool and lunged at him trying to grab his pagdi (he was a Punjabi boy). He laughed and ran away. There was a fire burning inside my heart which wanted the torment to stop. I started chasing him around the school. After quite some time, being tired of running away from me, he stopped trying to attack me back or something like that. Being a girl with the growth sprout, I was strong and big enough and it did not scare me. When he stopped his back was towards me on which I hit with my fists with all the anger built up in me for past six months. I hit him thrice and found a shooting pain in my hands which brought me back to reality. I must have hit him quite bad because he had no strength to hit me back, instead he started throwing up. He vomited all over his uniform. I threw him a disgusted look and walked away as though I did not care, though inside my heart I had a fear of what might follow. True to my fears, his parents were at the school office the next day with a complaint to mother superior that I had hit their son. I felt sorry for hitting their son immediately, because I heard his mother telling her husband “yehi hai woh langdi ladki jisne usko maara” (meaning this is the handicapped girl who hit our son). She was the one who deserved punishment, not him. I threw her a defiant look and walked into the office. Mother superior asked me the reason for hitting him, and I told her everything in detail. I actually wanted to talk about it to feel better, so there was no holding back. She checked with teachers and found that I had lot of complaints lodged against him in the past six months. “Yes Ma’am” his mother responded. “You have teach your students manners and lessons. They cannot behave like rowdies in schools” she answered. I stood their gritting my teeth and getting ready for whatever may follow. I knew mother superior had to keep the discipline in school and I was ready for the punishment. She picked up the rod, walked up to us and WHACK! WHACK! WHACK! it went down on his legs. The boy, his parents and I stood there open mouthed and shell shocked. She had hit him so hard that there were tears in his eyes. Calmly she informed the parents, that she did not want to do this, but they insisted. When they tried to open their mouths in protest, she cut them off in between and asked them check with their son what he done before approaching her ever again. After sending them away, she told me that I was not right to get into physical fights in school. “You cannot become a bully to stop bullying”. I told her I was genuinely sorry and would see to it that I would never do this again. I promise I wished to keep but couldn’t. My teachers always had a soft corner for me and I was often forgiven easily for mistakes. I was once again forgiven by mother superior and sent back to class. Somehow, the incident became quite famous in my school, and I did not have to face the bullying or name calling thereafter. I learnt the tough way to stand up and fight for myself and my rights, even if that meant breaking the law once in a while. 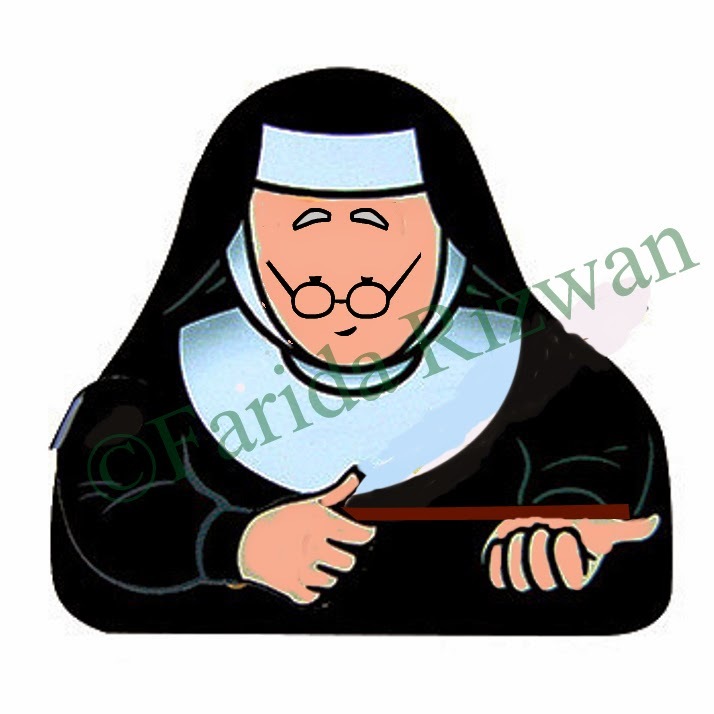 Like mother superior said, that is not the right way, but sometimes I am pushed into acting like a bully. Only consolation for me comes from the fact that I do not pick on someone weaker than me to bully, but fight with those who are mightier than me and are trying to bully their way around. The personality traits of trying to prove myself, fight with all I got and standing up against someone wronging a person continued well into my adulthood. Somehow, it helped me fight challenges that came with cancer, bringing up a special needs child and establishing my own independence in a relationship through the course of life. I am lucky person for whom bullying did not work in a negative way I guess. Felt good to read this.what a title bullied to bully. Wish u succeed in all aspects . I can imagine the frustration you must gave felt tat prompted you to do this, Farida! And, I'm guessing that that is the reason Mother Superior sympathized with you!! This is a very honest post, self-evaluating your reasons for participating in sports etc and it was very frank and refreshing!! Lovely that you stood up & emerged stronger! Thank you for sharing your story. It takes real guts to speak your heart and mind …. !Yeah sure you are lucky as bullying did not work in a negative way for you .To stand in between bullies and our self respect is not bullying, its self defence , being tough and not whining anymore. Bullying is, as you'd said, picking up on weaker ones. I am so happy to read about your experience with Bullying. Your strength will help others. Thanks for sharing.